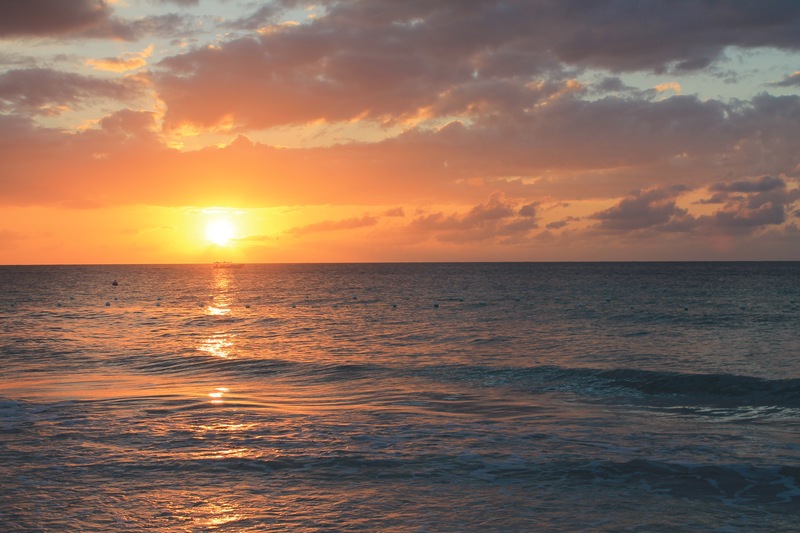 Are you dreaming of white sand beaches, turquoise waters and memorable sunsets? If so, Negril, Jamaica might the perfect spot for your next vacation.. 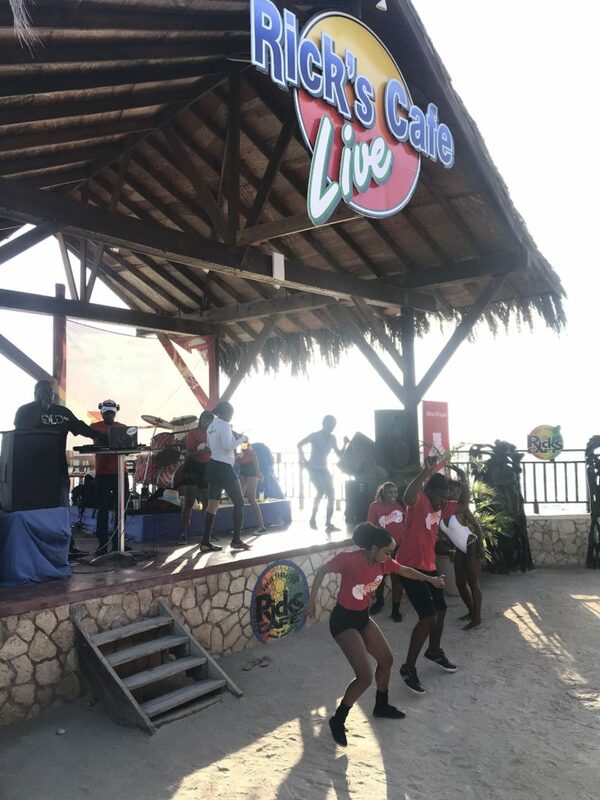 I have been to Jamaica seven times and during these trips toured many resorts, experienced a variety of excursions and stayed in all three hot spots: Montego Bay, Ocho Rios, and Negil. Of these, Negril is the only destination I have repeated, as it unique and unlike the other two. 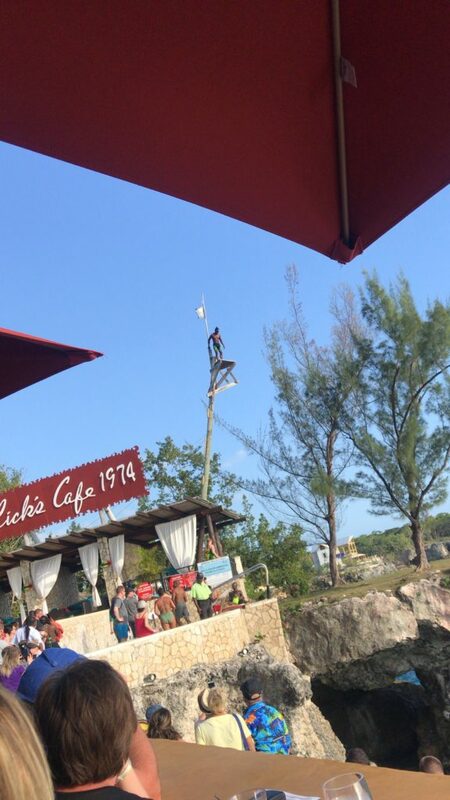 Here are a few of my family’s favorite things to do when on vacation in Negril. This is a great place for a sunset or a cliff jump! There is the option to book a catameran or jump in a Taxi to head to Rick’s. My preference is to take a taxi around 3 o’clock in the afternoon. This will give you tim to sit back and watch those who are brave enough for cliff jumps, enjoy a few cocktails and an appitizer or dinner. Be sure to stay long enough for the sunset. 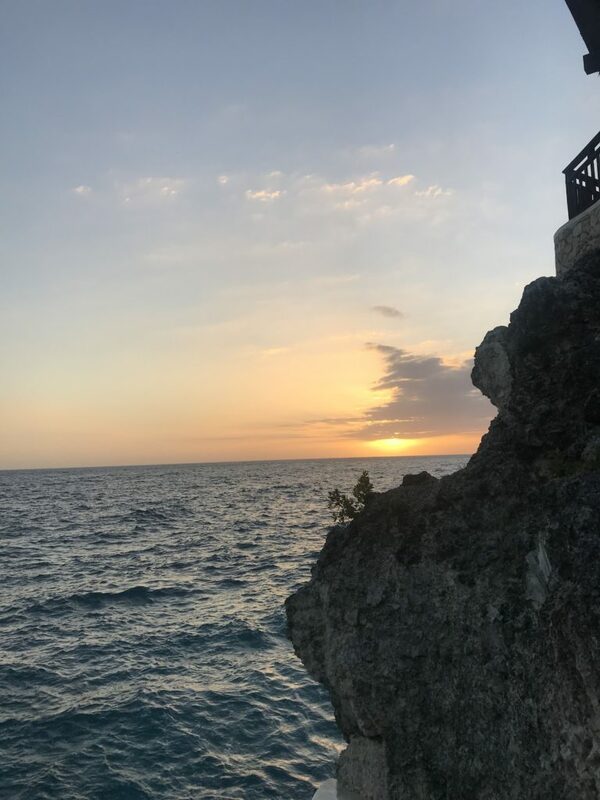 Some say it is the best sunset spot in Negril. 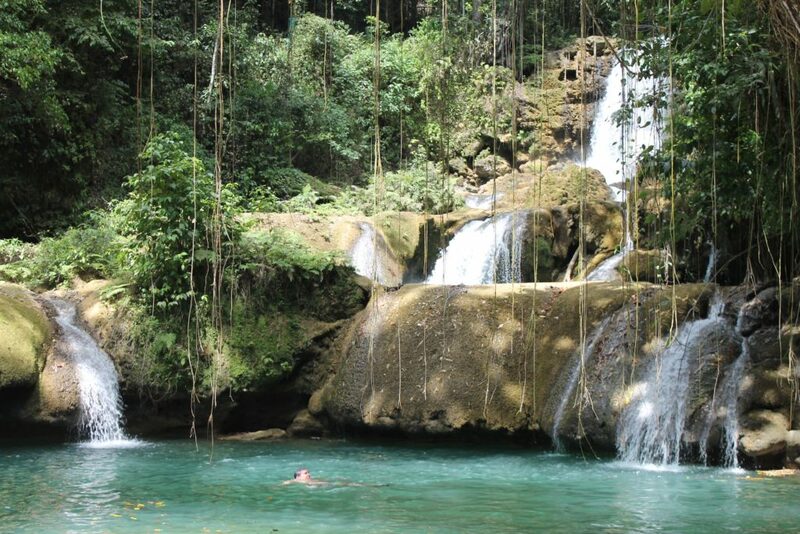 There are seven different falls that cascade into natural pools. 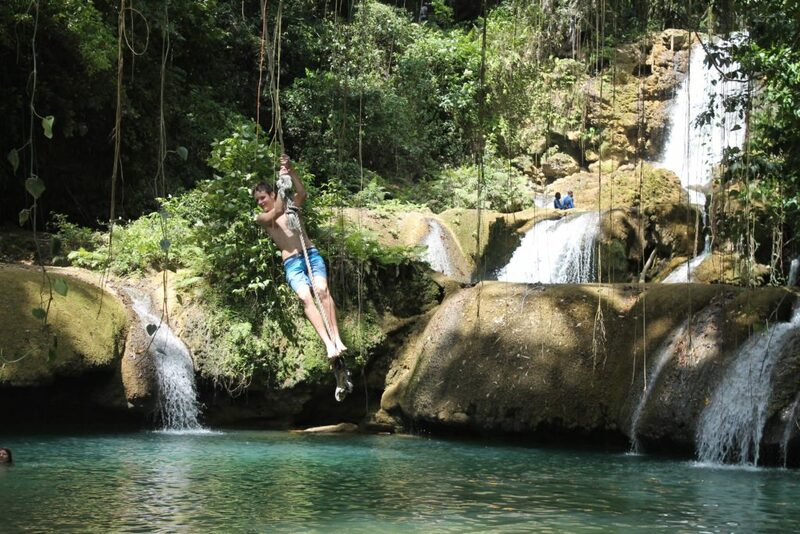 Arrive early in the day to enjoy swimming, rope swinging, and jumping. You can also zipline over the waterfalls. 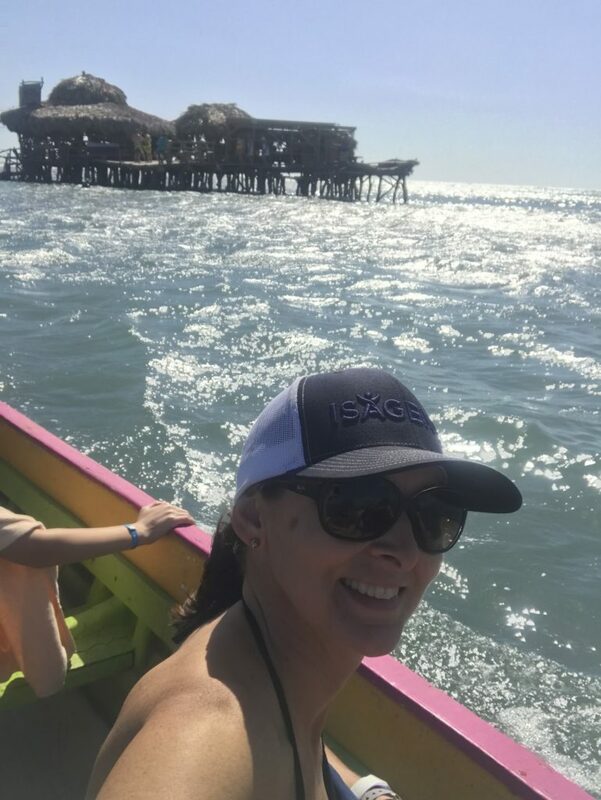 This is an all-around fun and unique bar out in the ocean. You can only reach this by boat. It is the perfect place to relax with a Red Stripe Beer or to take a dip in the water. Make sure you have cash for your drinks and arrive with your swimsuits on, as there are no restrooms. The Bloody Bay or 7-mile are beautiful walks along the beach. The sand is so soft, and the water is the perfect color of turquoise blue. You will find some markets to shop on the 7-mile, as well as many restaurants and bars. On bloody Bay you will find “The Office”, where fresh lobster for lunch is always a good choice. There are endless water activities to participate. Some include: snorkeling, paddle boarding, kayaking, or sailing. Grab a glass of champagne or your favorite cocktail, head to the beach a little before sunset and enjoy the show. Every night offers a different view. Don’t let a few clouds in the sky hold you back, sometimes these yield the best show! 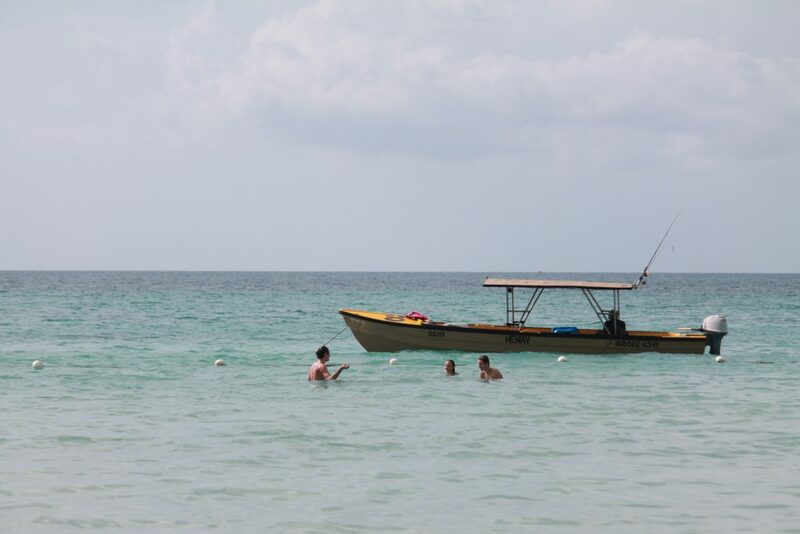 Negril is great for couples enjoying a vacation together, honeymooners, and even families. I have traveled there all three ways and enjoyed myself each and every time. This is truly a versatile vacation location.